On the day of his death, John F. Kennedy was scheduled to deliver a speech at the Dallas Trade Mart. The President was invited by the Dallas Citizens Council and the members of the Dallas Assembly, who held their annual meeting. Kennedy never arrived at his destination. Minutes before his arrival he was assassinated at Dealey Plaza, less than three miles from the Dallas Trade Mart. At the Dallas Trade Mart, 2.600 people were waiting for the arrival of the President and his elegant wife Jackie. JFK was supposed to deliver what was called ‘the Watchmen on the Walls of World Freedom’-speech. In his 1063 days in office Kennedy showed his fellow citizens and people around the world that he stood for world peace. “Not merely peace in our time, but peace for all time”, he said on June 10th 1963 at the University of Washington DC, six months before his assassination in Dallas. It was one of the reasons that people in some circles disliked JFK. The war in Vietnam, which began long before John F. Kennedy was President, didn’t only cost lots of American lives, but the American weapon industry earned lots of money because of the war. Kennedy intended to withdrawl the troops in his second term as President, but due to his untimely death the American people had to wait until 1975, twelve years after the Kennedy assassination. As for today, the Dallas Trade Mart at 2100 North Stemmons Freeway still exists. 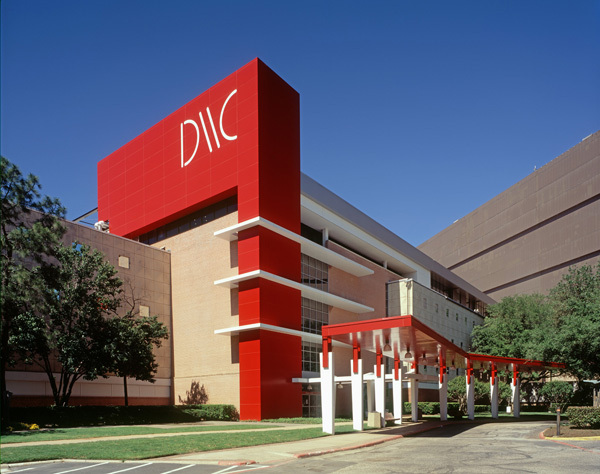 Now it’s part of the Dallas Market Center, along with the World Trade Center, the International Trade Plaza and the Market Hall. In front of the entrance, there is a sculpture. A memorial to the day the citizens of Dallas will never forget. An eagle with wings spread is perched on a tree trunk. In raised lettering on the platform is a phrase of a poem by William Blake: ‘When thou seest an eagle, thou seest a portion of genius. Lift up thy head.’ Underneath is a plaque: ‘Placed in memorial by the friends of President John Fitzgerald Kennedy who awaited his arrival at the Dallas Trade Mart, November 22, 1963’.